Strandkaien 3, next to the Tourist Information Bergen. See map HERE or HERE. Please be there at least 10 min before departure. Look for a light grey minibus with the Panorama Hotell & Resort logo on. Go on a RIB boat tour to the remote Marstein lighthouse on an island outside Bergen! This activity includes transport from and back to Bergen, local snacks and drinks, as well as free use of the wellness facilities at Panorama Hotell & Resort! Are you looking for a unique, magical, spectacular experience? These are the most mentioned adjectives that guests use after a visit to the Marstein lighthouse. This adventure begins with a pick-up by minibus from the city center. It is an approximately 40 min drive to the starting point at Panorama Hotell & Resort, situated on the ocean coastline of Sotra island. Enjoy the marvelous scenic views, coastal nature and culture on the ride to the starting point. The hotels helpful staff will meet you at the reception and you will be served a delicious local fish soup in the restaurant. The waiter will tell you the story of this typical Norwegian dish and who knows - maybe the cook would share the secret recipe with you! After the meal the sea adventure begins from the hotels own wharf. The RIB boat, a local skipper and guide will be ready to take you to the Marstein lighthouse. The RIB-boat ride takes about 10 minutes and during the tour you can get close to the elements and feel the harmony of the beautiful surroundings. Your guide will take you back in time and tell you the rich story of the lighthouse while showing you around the island. You will get a refreshing local drink and get the opportunity to take breathtaking pictures from the lighthouse and maybe a selfie at the helicopter deck as well. Back at the hotel you can take a relaxing bath in one of the hotels Jacuzzis or maybe you would like to try out the sauna? Or perhaps you can enjoy a dinner and a glass of wine at the hotels bar terrace, while enjoying the ocean view and the silence of nature? 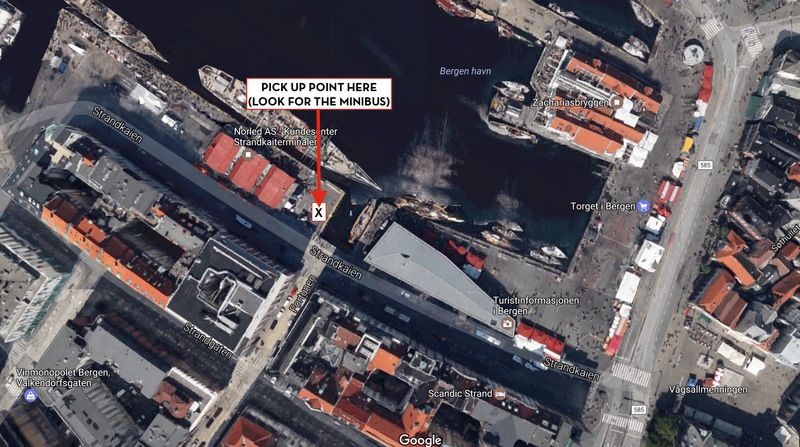 The return with minibus to the city center is at 9 p.m. from the reception. It is also possible to stay the night at Panorama Hotell after your activity! You can book your overnight stay here. If you book an overnight stay, the return bus to the city centre departs at 13:30 the following day. Meeting point: The Strandkaien Terminal, between the Norled Terminal and the Tourist Information. See map HERE or HERE.